If you’re in New York, I can’t stress how vital it is you check this out. 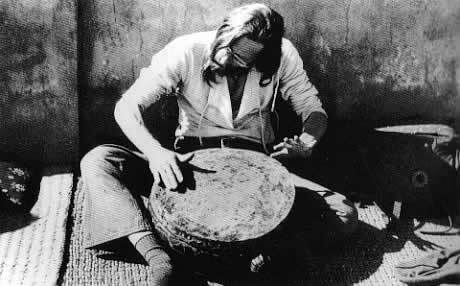 “Angus MacLise was the Velvet Underground’s first drummer. He withdrew when he found out that at a paying job he had to start and stop playing when told to. No one told Angus to stop playing. So the job of a working musician was impossible for Angus, and he taught us all a lesson about purity of spirit.